Inspiring Pet Teaching’s puppy teaching is personally taught by Linda, who is well educated & experienced in doing the right things for young puppies & their owners to ensure a successful long-term bond & a great life together. Once the careful socialisation & habituation is underway, your pup will then be ready learn all he is expected to know to take part in family life, as well as other doggie sports +/- work, if that is his destiny! To book your first lesson, or to find out more, please contact us. You may book one-to-one Puppy Start Right lessons at any age/stage (please be aware that there is an upper age limit for group puppy classes). See our FAQs page for more information on training. Socialisation & Early Teaching of Your Puppy is Probably the Most Important Thing You Will Ever Do For Them! Let us help you bond, teach & learn with your puppy in the best way possible! You can be sure you’re doing everything right to set him up to become a well-balanced, focused & confident friend for life. We teach these lessons in-home, as well as in small group classes. 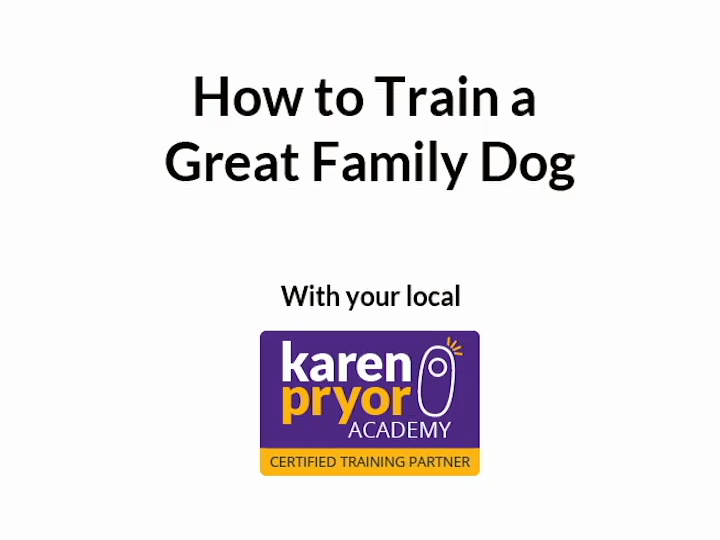 Linda is a graduate of the Karen Pryor Academy for Animal Training & Behaviour & a Puppy Start Right Instructor, so you'll definitely get the right start! Research tells us that we have a short window at the beginning of a dog’s life (from ~3 to ~18 weeks, depending on the individual & breed), during which we can really influence how your pup sees & copes with the world. Careful teaching & exposure to a variety of stimuli in a supportive environment will create the foundations for a ready-for-anything adult. Conversely, the wrong puppy class experience, at this crucial time of life, can cause fear, reactivity & all manner of behavioural problems that can impact welfare, & take a lifetime to sort out... "Behavior problems are the biggest threat to the human-animal bond, and the number-one reason dogs are relinquished." Debbie Martin (KPA faculty member, & author of the Puppy Start Right book & course) - the key is to get them early - so let's gets started!